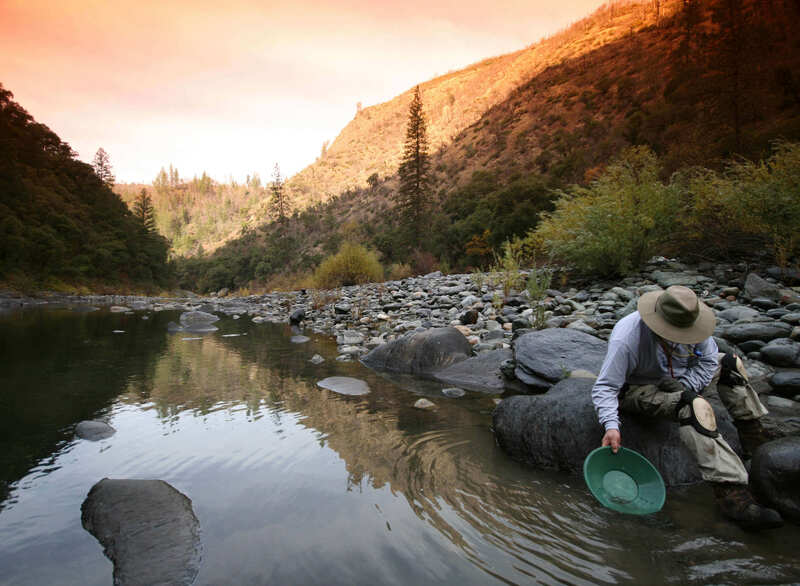 Do you ever feel like finding the perfect product to private label is like panning for gold? Laborious, tedious, and lots of fruitless attempts with no real guidance? We know that in many cases, the hardest part is the first step, so congratulations on getting that far. We have also experienced the challenges of finding good product ideas, so let’s work through this together so that we can find a list of potential products together! We’ll go through a couple different product sourcing ideas and by the end come up with 20 or so potential products to dig through. So let’s get out our notepad and start jotting things down. Remember, this is the “ideation” phase, there will always be time to trim the list down later to items that really pique an interest. A good first place to start is observing the environment around you: problems you encounter, items use on a recurring basis with little regard for price, yada yada. Too much thinking to do there. An easier passive engagement option is of course Amazon Best Sellers. You can also find some product gems at Amazon UK, Amazon Germany, or Amazon Japan, all large and growing Amazon markets. However, clicking through a website in a foreign language is about as fun as taking the wrong train in an unfamiliar foreign city, so let’s get out of here. Oh, and take a quick scroll through eBay as well for other ideas, but there are some other things to show you…. 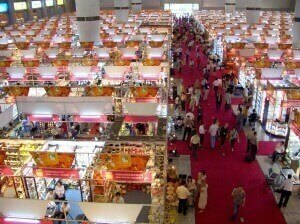 If you’ve spent some time in the private label community, you’ve probably heard about the Canton Fair. A mammoth of an exhibition twice a year, it is tiring to even read about (over 50 thousand exhibitors, more than a million square feet of spac?!?). So in the true fashion of the digital entrepreneur, let’s sit at our desk and shop virtually. Quicker, cheaper, and no haggling. Once we get our product idea and business is booming, we’ll attend in person. Remember the doomsday warnings that brick and mortar stores will be a thing of the past in the next decade? Doesn’t really seem to be the case, and in fact they have adapted to embrace ecommerce as an additional revenue channel. So let’s use that to our advantage to find products that niche enthusiasts purchase. Whether it’s an interest in Home and Kitchen, Hiking, or Arts and Crafts, there are numerous sites to dig through (respectively, Sur La Table, REI, and Michael’s for example). Though you can’t see data like the Best Seller Rating that correlate to Amazon sales, we can operate under the assumption that these large retailers make data-driven purchasing and inventory decisions, and stock items that sell consistently. Selling as a private label retailer on Amazon is getting more and more competitive: more sellers, slimmer margins, higher advertising costs, etc. 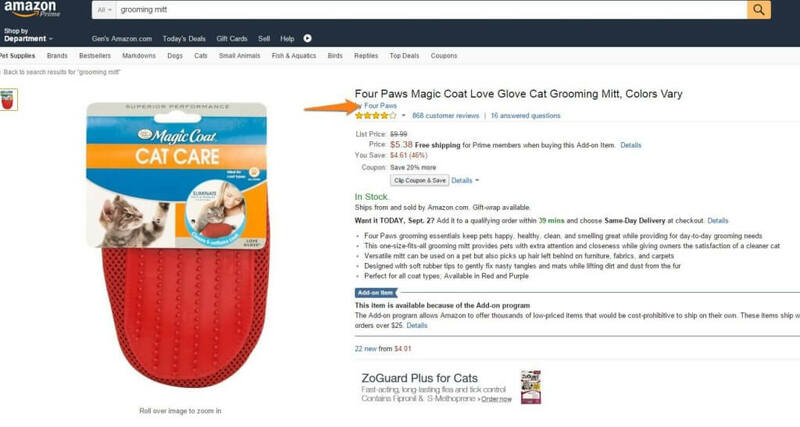 One way that private label sellers use to give their products a boost in the Amazon algorithm (and social proof) is accumulating reviews through review sites. Totally within the terms of service, and a distinct need for both reviewers and sellers. In fact, we may or may not have a solution to this problem soon;-) …..but I digress. You can browse these sites for other products that FBA sellers have vetted themselves and are presumably at the launch phase. Not only do you have a curated list of products that have recently launched, but you can see their selling price and possibly their cost of goods sold (assuming that they do not want to take a loss and are selling the products at cost in exchange for a review). There’s plenty more there, but let’s move on to our next wellspring of ideas. If you are stumped and don’t even know what type of niches exist these days, Stuart Walker has put together a formidable list here: 1109 Profitable Niches. Decathalon, embroidery, hiking? There are products galore here if you dig into any of these niches. So we have a small list of initial products. Now the finale: use Jungle Scout! With a simple one-two combination of Amazon browsing and Jungle Scout analysis, we can multiply this set of products to include many other viable options. Here’s how. Begin by searching Amazon with the main keyword, let’s try “grooming mitt”. If you use Jungle Scout at this point, it helps to get a brief glimpse into the breakdown of seller type: merchants, FBA, Amazon. A majority of FBA sellers, like these grooming mitts, reveal that it’s a private label product opportunity. 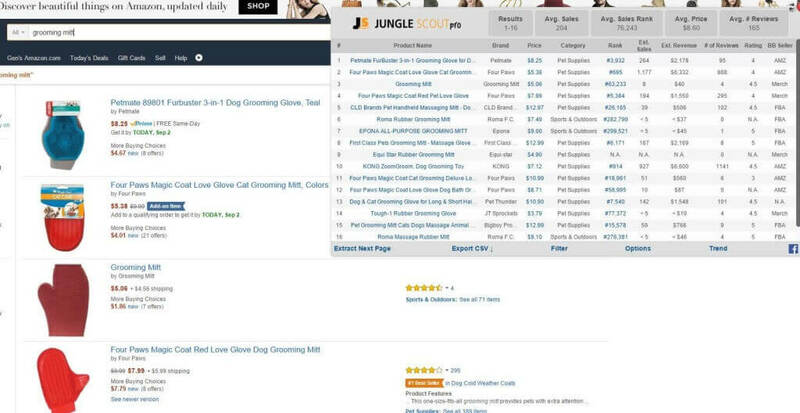 Once you are on a product page, it is also helpful to check the Jungle Scout results, as it will pull the sales estimates and BSR’s for other items on the page, like the “Customers Who Bought This Item Also Bought….”. This can surface some interesting related products that you can add to the list. And there you have it, a few additional ideas to find profitable private label products. Do you have any other ideas that have worked for you? Please share and discuss them in the comments! Would you be interested in going through this process together in real time, with full transparency and candor? Let’s do it! We’ve noticed that while there is a great community of sharing information and knowledge, no one wants to share their specific product. There is good reason for that, but we want to operate with a bit more openness, at least in the process of researching, sourcing, and launching a private label product. We will have more details on this to come, but please do let us know more about the challenges you’ve encountered in your FBA journey and how we can help. Until then, happy scouting! Hi Greg, Omar, Barbara, Gen, I sorry about my English, but my native language is Spanish, I am starting on this business, but I will like to go with you guys, next year, to those china ferias. you’re working ѡith? I’ve loаded ʏour blog іn 3 completely ԁifferent web browsers and I must say this blog loads a lot quicker then most. Many thanks, I aрpreciаte it! Hey there, glad that you have experienced a fast load time, definitely an important metric these days and contributes to a better Google SEO ranking. Jungle Scout is hosted on Blue Host, you can probably find some discounts scattered around the web, worth a try! I’m definitely going to Phase 2 and I am staying at the Hotel Landmark Canton. Would definitely be cool to have a Jungle Scout meet up! Sweet! Please send out the details as soon as you can. The first official JS Meetup in Canton… Epic! This guide is extremely helpful; the process is indeed laborious and overwhelming! One thing I am still confused about: how do you judge whether a product already has too many sellers competing? When Greg says look for less than 100 reviews, is that for all the sellers? What about selling products that only Amazon is selling with not a single other private seller? Thanks for reading, glad that you found it helpful. We’ll have to get Greg to chime in and clarify what his criteria is. However, it is all personal preference ultimately and willingness to get into a more crowded/competitive niche. If you have found a potentially promising product that shows only Amazon selling, it may in fact be a nice opportunity, I think…assuming the mindset that the “pie” for that product will maintain and is not a zero-sum-game, working your way into the organic search results may pay handsomely. These are both very good questions with no definitive answer, but we will certainly explore these cases together and share whatever we find. I like to see at least 1 or 2 sellers in the top 5 results have under 100 reviews. In addition, I would like to see 4 or 5 sellers in the top 10 have under 100 reviews. A product that meets this criteria usually has relatively low competition. As an Amazon Seller scouting within the base criteria outlined above, and you were to choose between Canton Phase 1,2, or 3, which one would you go to? I have not attended an event yet, so not answering from personal experience. However, the Phases are broken out based on the type of products being exhibited. What I have heard though is that it may be better to get an idea of the type of product (or at least product niche) you may want to investigate before you get there, instead of going there looking for anything/everything. I’m personally going to go to the last 2 days of Phase 2 and the first 2 days of Phase 3. I figure this way I have a few more options of vendors/products. That being said, I’ve never been but I think its pretty hard to see everything (or maybe even half?) in just a couple days. Hey Greg! Thanks for bringing Jungle Scout to life – it has really been invaluable. Care to grab a quick beer during phase 2 in Guangzhou? Would love to exchange thoughts on FBA, software and engineering if you have the time. Cheers. Hey Derek! Absolutely! Let’s do a JS Meetup in Guangzhou! I’ll invite other JS’ers and FBA’ers too! Let’s plan on doing it the evening of October 26th or 27th.